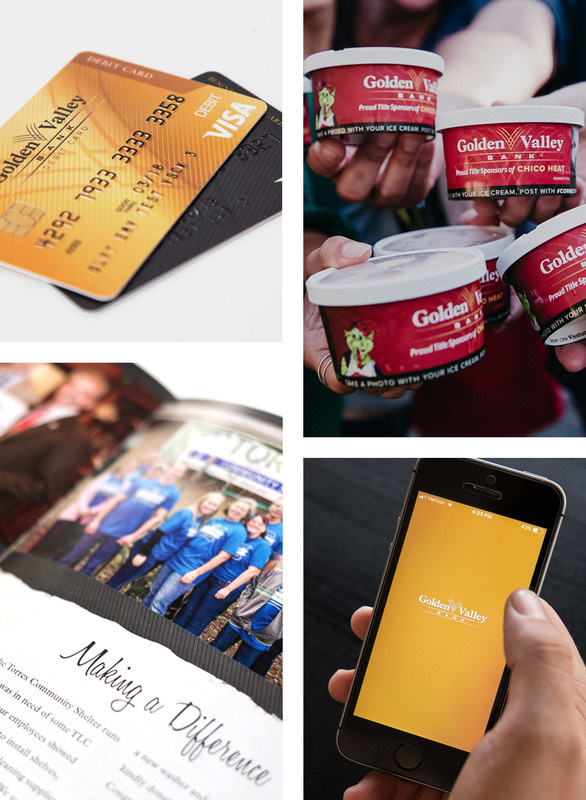 Grow the Golden Valley Bank Brand within the community through media and redesigning marketing collateral to connect with the community. MC2 and Golden Valley Bank have established a trusted partnership to discuss, visualize and create compelling campaigns and support materials that reinforce their mission, values and vision. Connecting the Community is their current campaign strategy for which all communications and interactions are centered. Through strong television advertising, key billboard placements and community sponsorships, Golden Valley Bank is showing how relationships and connections are made in the bank and throughout the community. 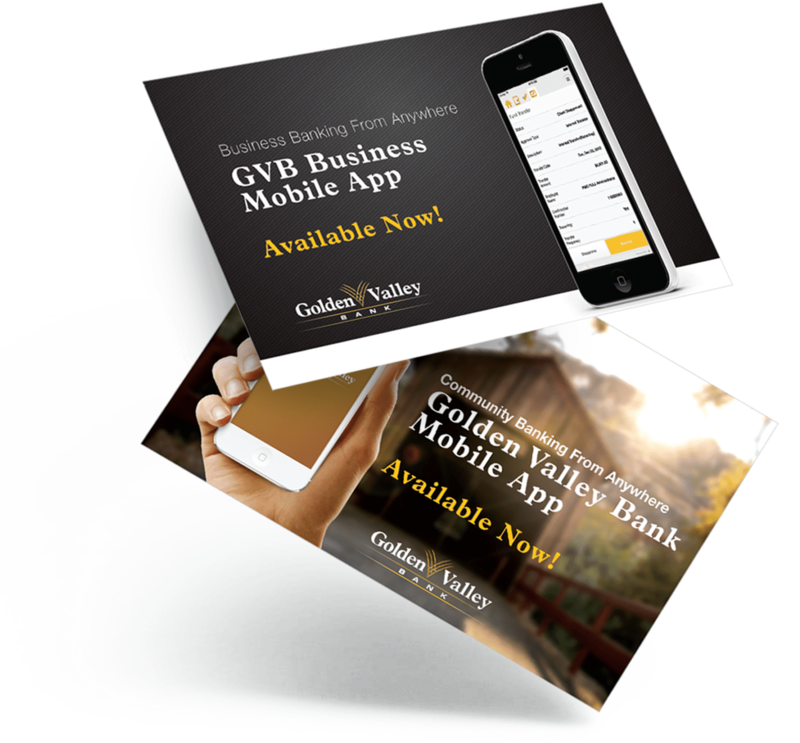 The results of the advertising and collateral being produced through MC2 and Golden Valley Bank are significant brand awareness and customer acknowledgment of the banks business and personal banking relationships.